It’s good to know that at least on one occasion Emma Borden spent a little of her inheritance on herself. 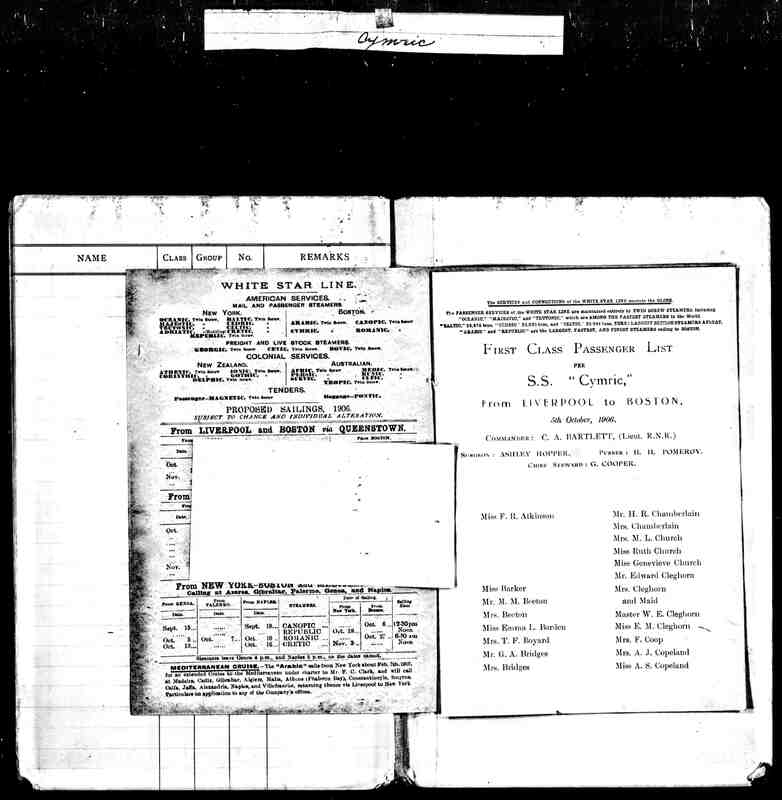 Emma’s name is eighth from the bottom of this document (Ancestry.com). She took the White Star line steamer R.M.S. Cymric (shown above) from Boston to Liverpool with a stopover in Queenstown, Ireland (also called Cobh). She went First Class and apparently without a chaperone. Scotland was her intended vacation destination, but she would surely have seen plenty of England on the way and at least a good glimpse of the Irish coast in Queenstown on the way to Liverpool. She arrived in June and does not return home via the Cymric until October so it was a visit to rival Lizzie’s 1890 Grand Tour. Maybe those “goings on” at Maplecroft which forced Emma to leave had something to do with this long vacation abroad. Passenger list above. Click on image for larger view. Passports were not mandatory until WWI and after much exhaustive searching, one has not been found for Emma. Nor has an application for a passport. It was a very lucky find a couple years ago to have been able to locate all of the passports for Lizzie and her Grand Tour traveling party. Her height and color of her eyes and hair were interesting to confirm at last. 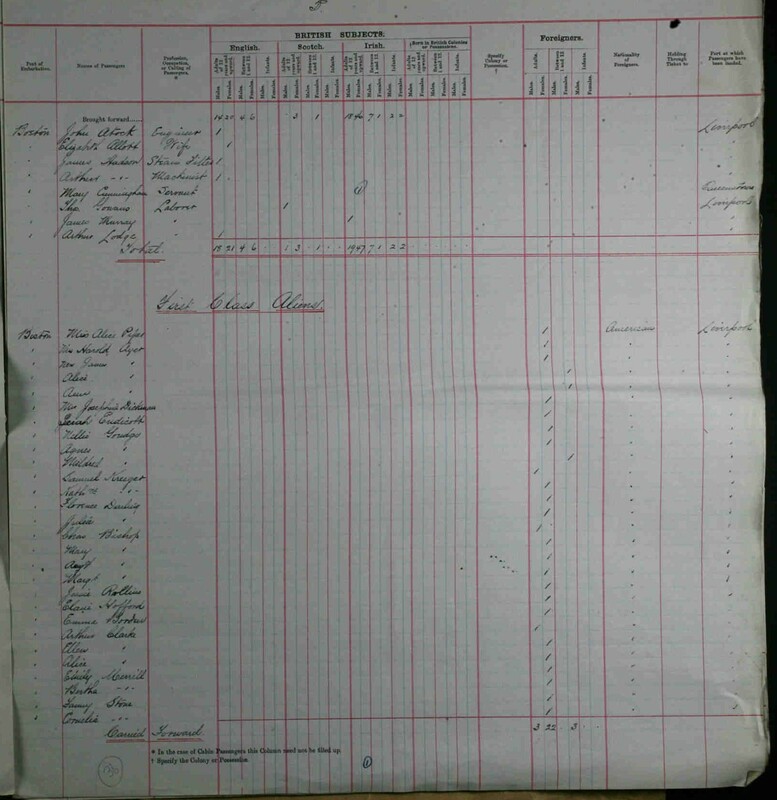 To date the documents above are all that have been found as to Emma’s overseas adventures. Travels around the “lower 48” with Emma and lady friends may be detailed in the upcoming Parallel Lives. 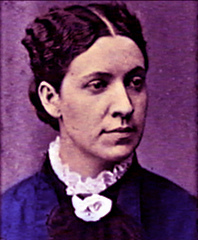 Alice Buck, Rev. Augustus Buck’s daughter was a good friend to Emma, and undoubtedly there were other family members and lady friends who enjoyed Emma as travel companion. In the meantime, the search continues for more travel documents.